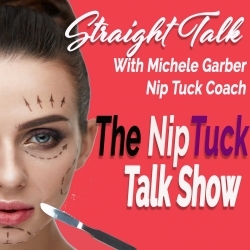 The NipTuck Talk Show: Plastic Surgery|Beauty Hot Topics| Wellness |Aesthetic Medicine: Is Kybella Worth It? Kybella is the newest way to treat your double chin. Is it the best alternative to liposuction? It is worth the cost? What are the risks and who is the best candidate? New York Board Certified Dermatologist Dr. Hedi Waldrof weighs in about Kybella. We lose volume in the face as we age. We've been working on lifting and bringing the eye upward to so the eyes pop. We've been able to use fillers and now we can reduce the fat under the jaw. We're cleaning up the last bit. Dr. Waldrof is Director of Laser and Cosmetic Dermatology at The Mount Sinai Hospital and Associate Clinical Professor at The Icahn School of Medicine of Mount Sinai, both in New York, NY and President of Waldorf Dermatology & Laser Associates, PC in Nanuet, NY.